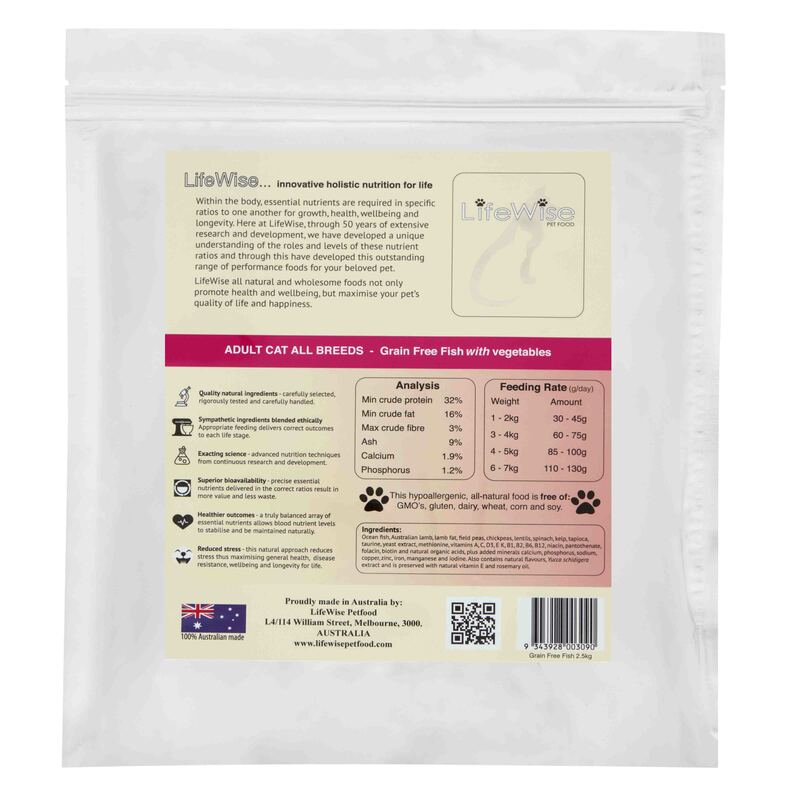 Freshly caught wild ocean tuna with Australian lamb, mixed vegetables, vitamins, minerals and essential oils makes this scientifically balanced holistic food a firm favourite for all cats. 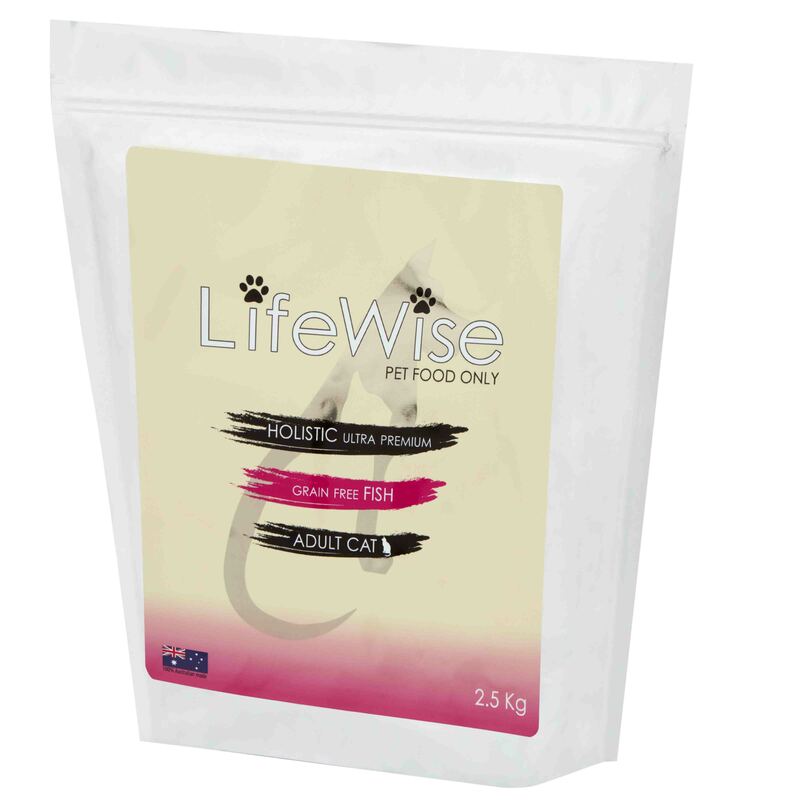 A concentrated, high profile diet especially useful for all animals with sensitive stomachs, allergies or intolerances, particularly those with skin and coat issues. The unique nutrient ratios coupled with the very high digestibility levels and the increased levels of omega 3 oils makes it one of the most efficient foods available and is suitable for cats of all breeds and ages. 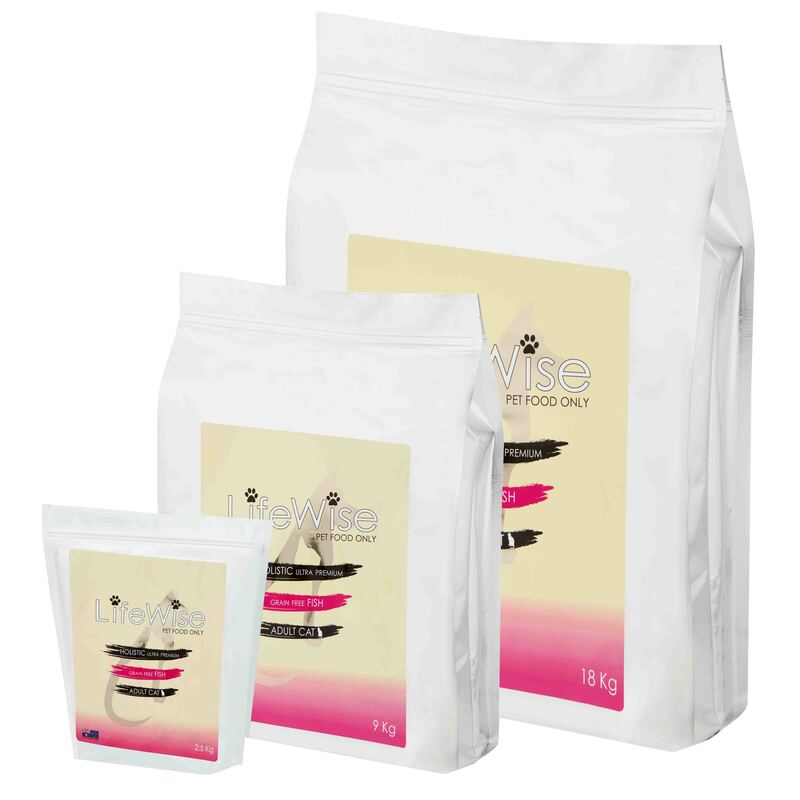 This food also contains kelp, taurine and yeast extracts for optimum intestinal health plus Yucca schidigera extract. Sustainably caught wild tuna, lamb, lamb fat, field peas, chickpeas, lentils, spinach, kelp, tapioca, taurine, yeast extract, methionine, vitamins A, C, D3, E, K, B1, B2, B6, B12, niacin, pantothenate, folacin, biotin and natural organic acids, plus added minerals calcium, phosphorus, sodium, copper, zinc, iron, manganese and iodine. Also contains natural flavours, Yucca schidigera extract and is preserved with natural vitamin E and rosemary oil.